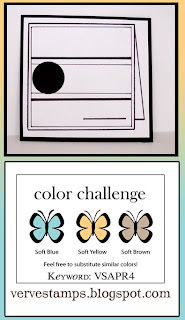 I loved the color challenge that Julee has for her Verve color challenge for the April release and I love Kazan's Sketch #24 that she has created for the 2Sketches4You challenge blog. 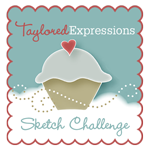 I love Laura and Kazan's sketch challenge and their DT is just amazing with the samples that they come up with each week! 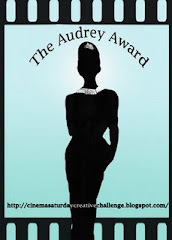 Talk about inspiration city! They are currently having a DT call for the summer group - and you can check out the details for the DT call here! Well, I hope you are all having a great start to your weekend! Okay.. off to get dinner started! Hope you are all doing well!!! Thanks for visiting my little corner!!! LOVE LOVE LOVE this card. OMG, all those different colored cuppies in a row...too cute! never get tired of posts from you honey! Love what you have done with this, even if it isn't what you set out to do. At the very least it's the thought that counts right! This is so dang cute...I love the cupcakes & I remember the handmade blue paper. In fact, I might still have some laying around...adds nice texture. Love your card! Those colors are great for a male card! I think your friend will love it! Love how your alternated the colors on the cupcakes! Love those cuppies!!! The colours are so yummy for them! Fantastic girl! 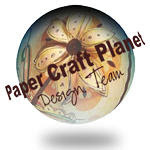 Sankari, you can post as many times a day as you want--I love looking at your cards! 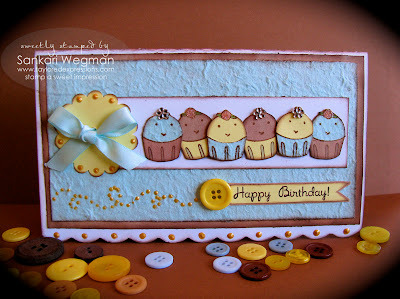 This one is SO cute--love the row of cuppies! Sankari... we could NEVER get sick of you and your beautiful cards. This is just gorgeous and obviously you're a girl after my own heart... I love that you've put ribbon on a BOYS card...I've made a couple with ribbon myself... us girls can't forgo all of our prettiness when we have to make a more unblinged card can we?? hahaha. Awwww thank you Sankari! You are pretty awesome yourself! I adore your card! So cute! Kazan is out of town so I am taking over:) Thanks for playing! Darling, darling!! Love the cupcakes! Love the darling cupcakes, beautiful card, those colors are awesome! cute, cute, cute! love those yummy cupcakes! Very cute, love this card! What a cute card! I love the colors and the handmade paper is very cool! Masculine or not, this card is GREAT!!! The cupcakes look so cute! He will love it. this is soo cute! love those cupcakes!